Working abroad can be a challenging and rewarding experience. Living and working in a foreign country is an opportunity to enrich your life experience in ways that benefit both your personal growth and your future career prospects. However, competition for placement abroad can be tough. Some countries do not accept foreign workers at all, while others have an extensive visa application procedure. There are also work abroad programs that are run by international companies and other organizations. Whichever country you want to work in, and however you apply, your application will need to be impressive. Aside from providing an academic record and a detailed resume, you will need to write an application letter. You cannot afford any mistakes in the documentation - it must be perfect. To make a really great impression, your English writing must be comprehensively proofread for grammar, spelling, and punctuation. It is also a good idea to consider your use of vocabulary - does it show a good command of the language? 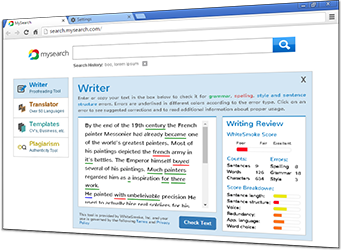 WhiteSmoke Writing Software can take care of your English grammar, and expand your vocabulary with its dictionary, thesaurus software and unique enrichment feature. Use clear and concise language - keep your sentences short. Make sure your resume is completely up to date, and that you have good character and work references. Note any outstanding work achievements you have made, as these will make you stand out from other applicants. Use positive language through your application letter. Make sure there are no mistakes on any forms or letters that make up your application. While WhiteSmoke Writing Software can't write a whole text for you, it can make sure that the effort you put into your work visa application is not in vain due to grammar, spelling or punctuation errors, mistakes that WhiteSmoke can fix almost instantly. 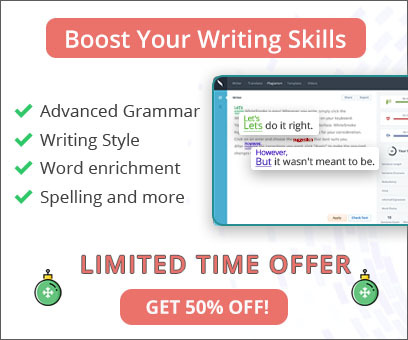 WhiteSmoke scans your texts with its unique enrichment feature and suggests powerful synonyms and additional words to make your writing even more persuasive and powerful. With WhiteSmoke in your corner, your application will stand out.